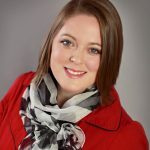 Why is a marketing plan important? We’ve all heard the adage “If you fail to plan, plan to fail,” right? Well, when it comes to your business the saying applies. According to research by the Small Business Administration (SBA) about 30% of businesses fail in the first 2 years, 50% during the first 5 years, and up to 66% in the first 10 years. Now it may seem reasonable that some of those businesses failed simply because the owner just didn’t like being a business owner. However, I think it is safe to say that 6 out of 10 isn’t justifiably attributed to the owner not liking the job. So what causes businesses to fail? I would argue that most businesses fail because the owners get so caught up in the weeds of operations that they don’t step back and make solid, executable plans. To avoid becoming one of the SBA’s 6 in 10 create a plan, specifically a marketing plan. When it comes to marketing your business Brand is the lifeblood, but what is Brand? Brand is what people think of when they think of your company. It can include your logo and product but also needs to focus on your corporate mission and identity. For potential customers to understand your Brand, you must create it by setting goals. Create a mission statement that identifies what you are doing, and what sets you apart from others in your industry. Think about the things that are important to potential clients and employees. Maybe you are like Ed Catmull, former CEO of Pixar, and you create an environment of safety, inclusion and comfort to inspire maximum creativity. Perhaps you are like Mark Zuckerburg of Facebook, or Larry Page and Sergey Brin of Google, and you are on the forefront of technology advancement. Do you want to change the world of Health Care by implementing a new model for your practice? Once you have a mission statement decide what your corporate objectives are by asking “How do we get there?” Corporate Objectives are big picture answers to that question. For Ed Catmull the corporate objectives included giving employees a voice by eliminating the typical corporate hierarchy and allowing workspace freedom. Planning requires research. Know where you are, where you can get to and what can get in your way. Take an audit of your current marketing, keeping in mind that marketing is more than just your advertising, it is everything about the way your company interacts with the world at large. Is your Brand recognizable? What is the current perceptions of your company, do they feed into your Brand? Do you have any public reviews that shed a negative light on your business that need addressed? Are your current advertising methods effective? This audit is your initial pulse reading. This will set the bar for the rest of the planning process. 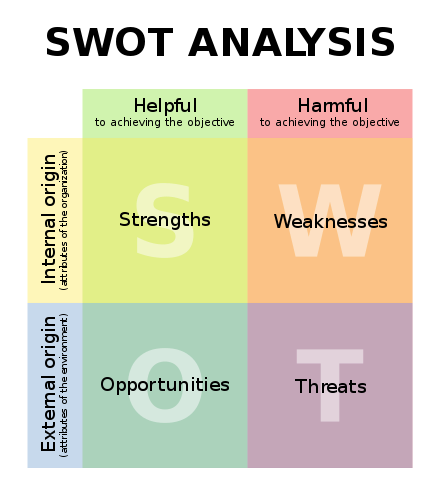 After you take the pulse do a SWOT Analysis. Knowing your Strengths, Weaknesses, Opportunities and Threats guides you to better decision making. The idea is that knowing your strengths lets you play to them. Addressing weaknesses keeps you from damaging your Brand. Opportunities are areas where you can make the most impact, the avenues where the company is most likely to grow and succeed. Threats are your competition, but also intangibles like rapid expansion, complacency and underdeveloped Human Capital. Take this exercise seriously and think big picture. The more detail you get here the better your planning can be. Create marketing objectives that are SMART goals. SMART goals are Specific, Measurable, Actionable, Reasonable and Time-bound. For example: Increase client base 1% by attracting 150 new clients over the next 6 months through referral-based leads. This objective is specific, measurable by the 150 new clients, actionable because it outlines where the leads originate, reasonable in that 150 clients is 1% of current base, and time-bound to 6 months. Generating forecasts of what you want to accomplish proves very helpful when establishing SMART goals. Knowing what end result you want to achieve gives you the opportunity to ask “how do we get there.” Answering “how do we get there” feeds into your SMART goals. This step is when your accounting team needs to get involved. For a plan to be complete it needs to have a budget specific to each facet or objective. Each objective needs human capital and funding, but what you don’t want is to over-work employees or spend yourself out of a company. Work with people who understand all the resources you have available and choose how and where your resources can make the most impact. As so eloquently stated there by Captain Cold, expect the plan to go off the rails. Have some contingency plans, be flexible with your execution, adapt. Then wash, rinse, and repeat from Step 2. If you are feeling stuck, or just want someone to help you through the process Contact Us. We have a team of professionals, from business development to management accounting consultants who can help create and implement a stellar Marketing Plan.